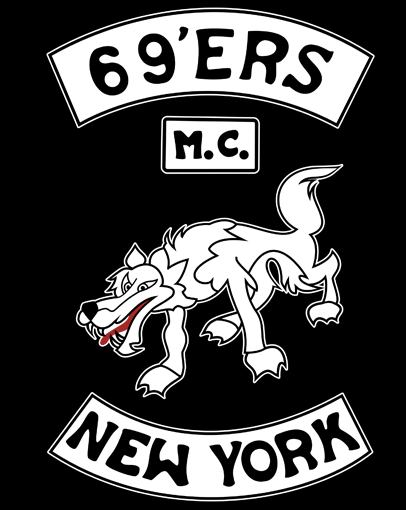 69ers MC are an East Coast USA one percenter motorcycle club who were founded in the Brooklyn, New York area in the early 1960’s. View our extensive list of the all of the one percenter motorcycle clubs. Founded in the Brooklyn, New York area in the early 1960’s. Some sources list the clubs founding as being in 1968, however further information is not available to confirm this date. One of the founding members is listed as a member named “Tiger”. Further details about the history of the club are very difficult to come by, other than that they had the common interest of riding their Harley Davidson motorcycles at every opportunity. “For the strength of the pack is the wolf and the strength of the wolf is the pack”. 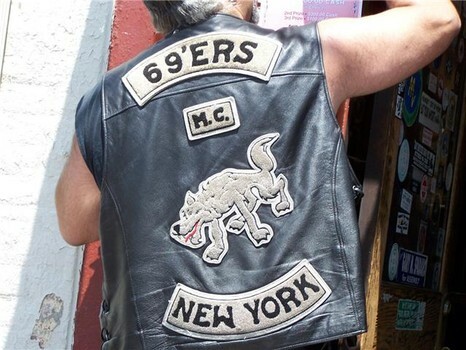 Like almost all other one percenter motorcycle clubs, the 69ers display the club’s name on the top rocker, “MC” indicating that it is a motorcycle club and the location of the chapter on the lower rocker. The club has a strong presence on the East Coast of the USA, with a single chapter also based in Puerto Rico. Like many other of the prominent one percenter motorcycle clubs, they have taken to Social Media sites including Facebook to promote events at their numerous clubhouses, where any member of the public can drop by and have a drink. Some of the motivation behind these open nights will be to help raise funds for the club, through the proceeds of drink sales at the event. 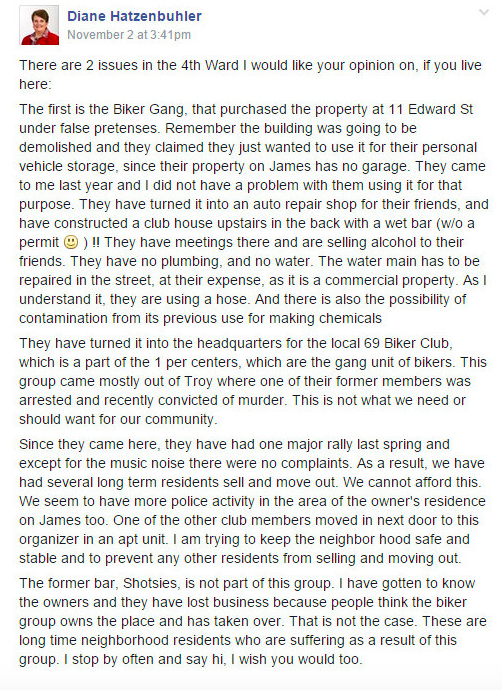 These events can remove much of the mystery that is behind the “one percenter” motorcycle clubs. “Tiger” – One of the Founding members of the club. Edward Jidoun – Former Troy President. Charged with second degree murder but found not guilty. More information can be found below in the “In The Media / Crime” section. 2007 – Edward Jidoun, President of the 69ers Troy Chapter, is charged with second degree murder of Douglas Berben following a knife fight outside of a pub and faces up to 25 years in imprisonment. 2008 – January 16, 2008. Edward Jidoun, President of the 69ers Troy Chapter, is found not guilty of second-degree murder and first-degree manslaughter in the stabbing death of Douglas Berben. The verdict comes after Edward Jidoun admitted to killing Douglas Berben, however did so in self defence as it was Douglas Berben who pulled a knife out and attacked first. 2009 – July, 2009. Members of the Hells Angels Nomads New York chapter and 69ers Motorcycle Clubs gathered at the Hillview in Duanesburg, New York, where both clubs were honored with the President’s Volunteer Service Award for charitable contributions within the community. 2014 – November, 2014. 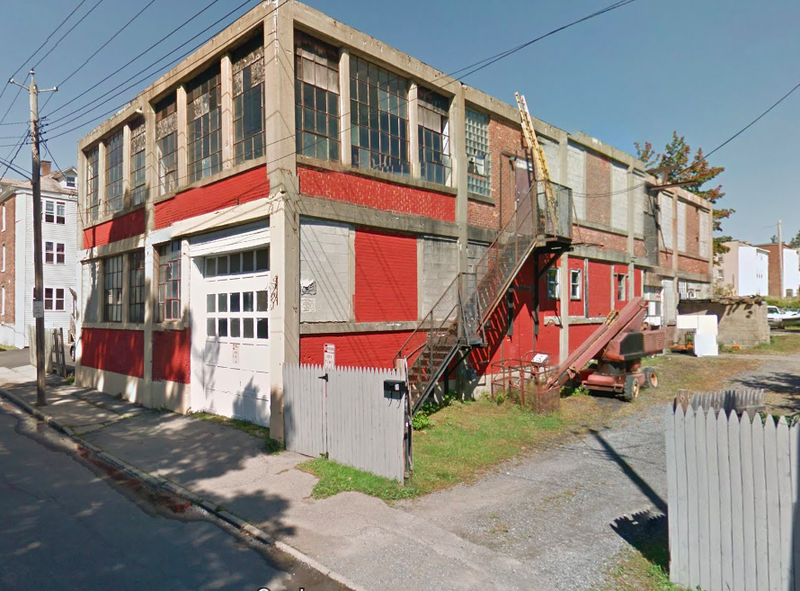 The 69ers have faced challenges regarding their clubhouse in Amsterdam, New York. 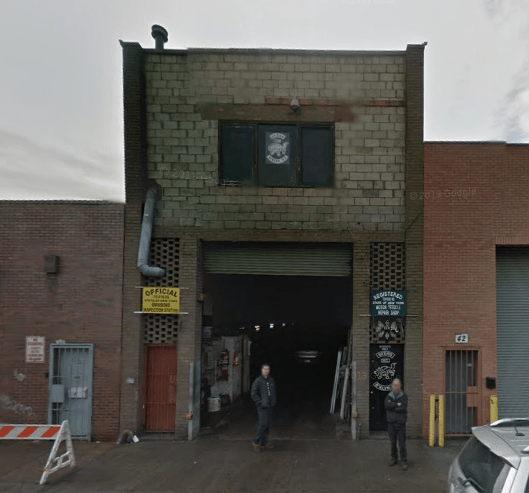 Alderwoman Diane Hatzenbuhler of the 4th Ward took to Facebook to challenge the use of the recently purchased motorcycle clubhouse. In her Facebook post, which can be seen below, she mentions that the movement of the 69ers into the area has led to reductions in customer numbers for neighbouring businesses. She does however also mentioned that apart from a noise complaint, there were no other complaints received when a major rally was held there recently. Hells Angels MC are allies. The Jury MC are allies. Wheels of Soul MC are allies. What is a one percenter?